If you’re the kind of person who favors fruity flavors in your e-cigarette, hey, that’s your choice. But Ferrara Candy doesn’t to be tied to any flavor of vape liquid, and is suing an online e-cig company claiming it infringed on its trademark for Fruit Stripe gum with one of its offerings. Ferrara claims in a complaint filed recently that TrinitySun Inc. used the name “Fruit Stripe” and a design without Ferrara’s authorization, reports the Chicago Tribune, violating its trademark rights. 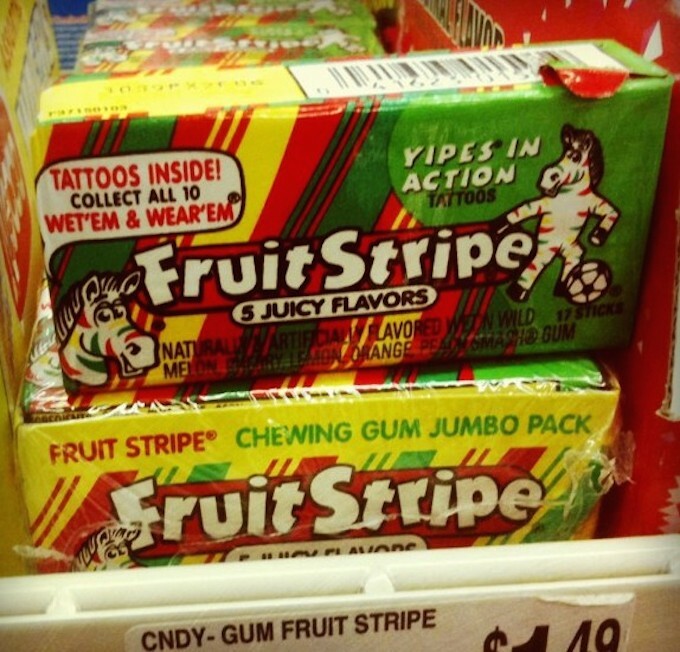 The Tribune says the name of the flavor was later changed to “Striped gum,” though it still was accompanied by a photo of five colorfully striped pieces of gum that look similar to Fruit Stripe. “If parents thought Ferrara Candy was trying to use its famous candy brands to hook children into nicotine products, it would dramatically and irreparably harm Ferrara Candy and its FRUIT STRIPE trademark,” Ferrara said in the suit filed Friday in U.S. District Court for the Northern District of Illinois. According to the complaint, Ferrara claims it reached out to the e-cig company about the issue multiple times in 2014, and sent three cease-and-desist letters last fall. It says TrinitySun did change its use of Fruit Stripe trademarks on the site somewhat, but didn’t get rid of them completely. The Tribune notes that after reaching out to the president of TrinitySun about the lawsuit on Monday, the product was no longer available on the company’s website. He says he has not seen the lawsuit but has reached out to Ferrara and was waiting to hear back. Ferrara’s suit asks the company to stop using “Fruit Stripe” and any other mark, word, designs or name that are “confusingly similar” to the company’s Fruit Stripe marks.